Changi village Food Centre had undergone a 10 months renovation last year and was re-opened just this year on January. Although the hawker centre still look the same with its original blue metal roof facade intact, many stalls was seen relocated. However with the enhancements, there were more seating available as well as improved toilet facilities. With a new brand new appearance from Xiang Xiang's signboard, it was a good showcase to customers that they had won good comments from the media on their specialties. 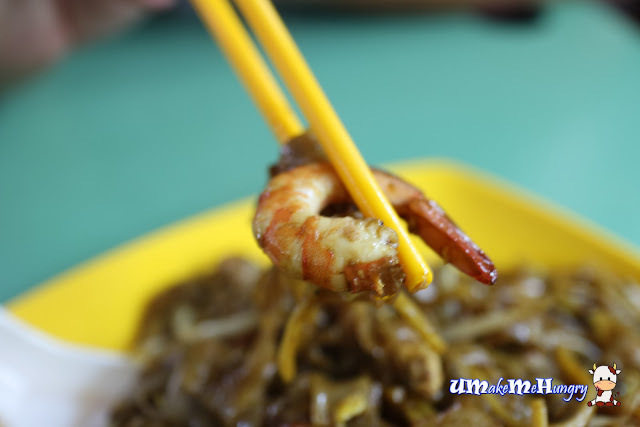 Xiang Xiang served only 4 dishes, namely: Fried Rice, Fried Hokkien, Prawn Mee, Fried Kway Teow and Mee Goreng. Every order is cooked fresh, these flat rice noodles were stir-fried on the spot with soy sauce, cockles, beansprouts, prawn, chinese sausage and egg. 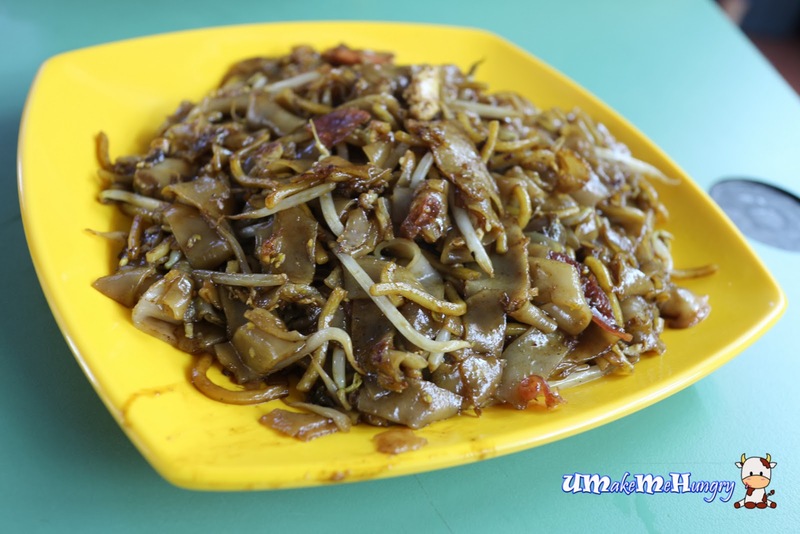 It packed the kind of traditional flavour I had longed for - my Char Kway Teow fix! The amount of sweetness was perfect from the bits of eggs and black sauce, most importantly they were not as greasy as I thought. Char Kway Teow with prawn is not really a common sight in hawker centre and they have it! 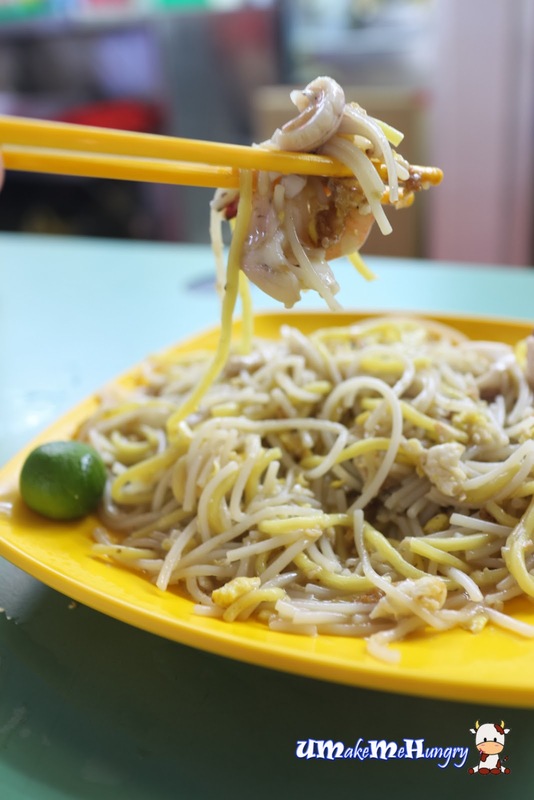 Awarded by TheNewPaper as the Best Hokkien Mee in Changi Village, they did live up to their name. My smallest ordered portion was in fact generous and totally out of my expectation. It does really give an oomph! The plate of mixed yellow and white noodles were moist enough to my liking cooked with their flavourful prawn broth. 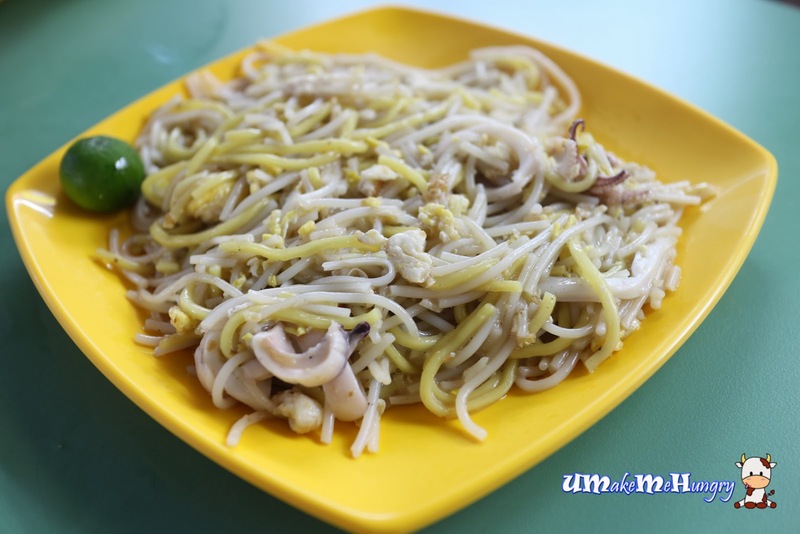 Squeeze some lime juice over them to enjoy a tangy and refreshing taste of the Hokkien Mee. Yummy! 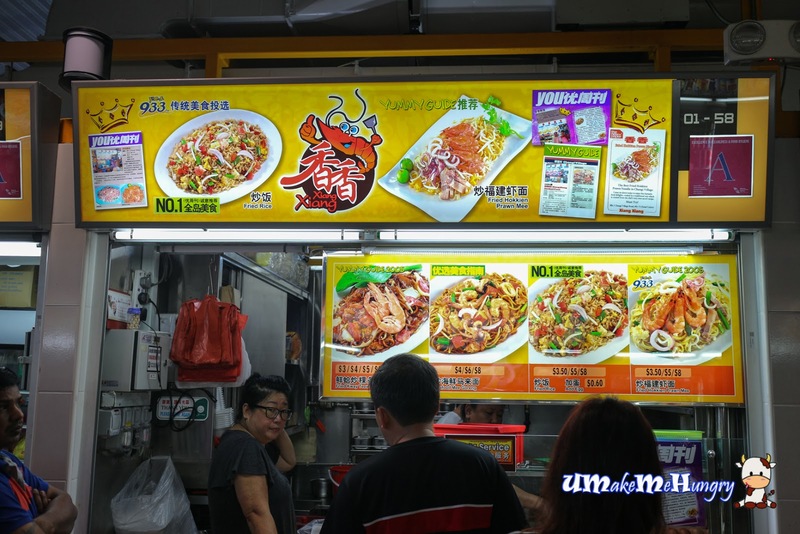 The 4 items sold by Xiang Xiang is a good place to "show off" the local cuisine to our foreign pals especially if they choose to dine in Hakwer Centre. Having said that, considering the cost and quality, it isn't too bad a choice after all.